From tools and vehicles, laundry detergents and oil stains, heavy storage bins and appliances, garage floors are often exposed to the most punishment in any house. Subjecting a concrete garage floor to heavy use would warrant constant patchworking and maintenance to keep a safe and aesthetically-pleasing garage. Why not invest in an epoxy coating for your garage? Epoxy coatings can take a lot of punishment, look clean, and ensure a safe work surface. It could withstand heavy weights (such as your vehicle or storage bins) and can withstand high temperatures and retain its quality even when installed in homes near the deserts in Utah. Epoxy floors’ price range varies depending on its quality and properties (such as being scratch-proof, high-heat resistant, static protection, etc.). The higher the quality, the more costly they often go for. However, if you factor in the regular maintenance and patchwork/repairs required by other less-durable floorings, you’d be saving up a lot more even if you go for the high-quality options. Epoxy floors boast being resistant to a plethora of substances that are normally found in a garage such as oil, gasoline, cleansers, transmission fluids, which is why epoxy floors are used often in the automotive industry. It’s also heat, water, and scratch resistant, and could even handle more caustic chemicals without staining. In line with its resistant properties, epoxy floors offer a level of safety and sanitation that other flooring options can’t. Most epoxy floors are slip-resistant, making it ideal for manufacturing facilities, and more so for garages. Its reflective surface also enhances light, brightening up your garage and making it safer to work on your vehicle or other projects. Hospitals choose epoxy coating since they are bacteria and germ resistant, so they’re easier to sanitize; subsequently, having a sanitary garage would ensure the health of you and your family. Epoxy lasts longer than most floors, and with proper maintenance, it would require the least amount of repairs or retouches. But even with minimal maintenance, epoxy could last decades without cracking. 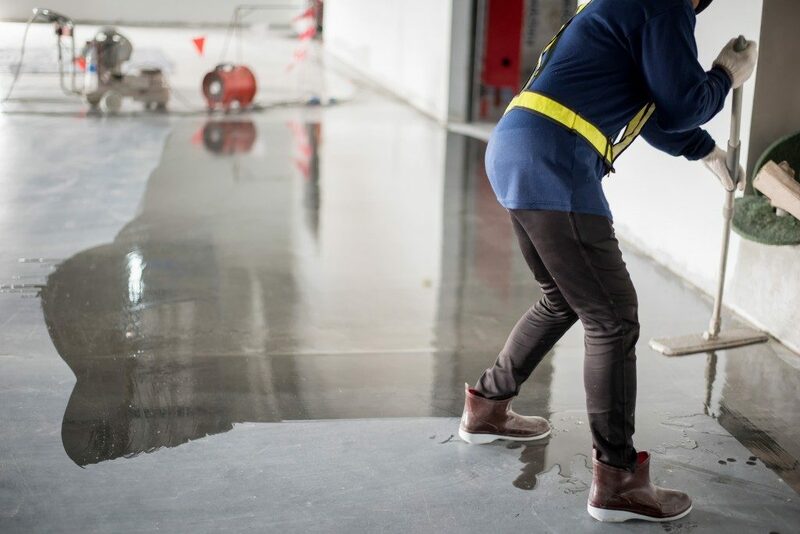 Epoxy floors, compared to regular concrete floors, are more aesthetically pleasing and provides a somehow more productive atmosphere — such as that of an industrial or manufacturing facility. There are also options to have your epoxy coated garage floor decorated with a pattern, or even customized it with your state’s sports logo, say, the Utah Jazz or Real Salt Lake logo. 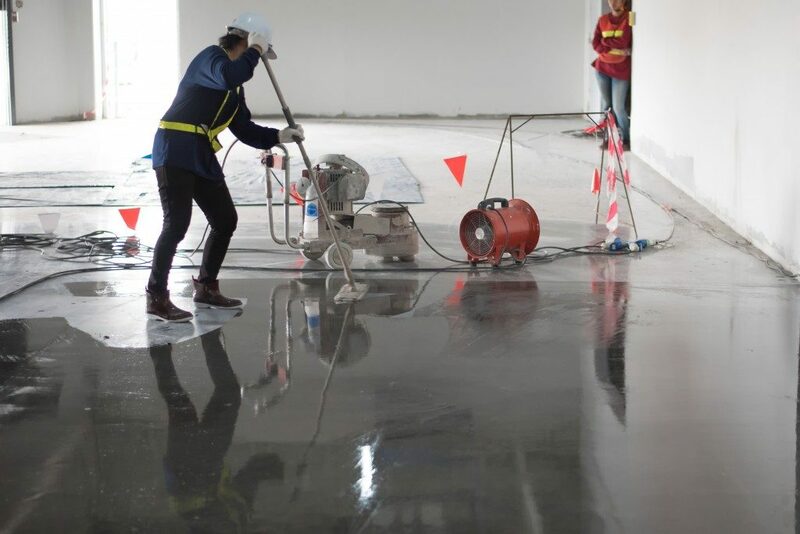 Instead of replacing your damaged cement/concrete floors, you could just apply an epoxy coating to your current floor and avoid the effort, as well as eliminating the need to dispose of the materials from the cement/concrete and avoid waste. Epoxy coating not only looks pristine, but it’s easier to preserve, more durable, lasts longer, and cheaper (even the more expensive options would have you save more in the long run by having fewer repairs and retouches required). So take the smart option and have one installed for your garage floor. You won’t regret it!